I am deeply saddened that during a time when our youth are being bombarded by so many ill winds, good organizations with a desire to help our youth are under attack. Sadly too often the attacks come from politically driven individuals who have done little to inform themselves before slandering the organizations. This, I believe, is the case in the recent attacks on the Girl Scouts of America. In my blog Entitlement is a Symptom, I discuss the benefits of having a community of loving adults aiding in the development of our youth. 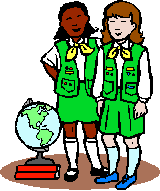 I believe that this is a role in which organizations like Girl Scouts can play a beneficial part. To read one account of some “scary” activity or association should not make us publicly condemn the whole. Nor should we read an account of something “disagreeable” happening in a worldwide organization with similar name, and assume it applies to our local group. While everyone has a right to develop their own opinions, it is irresponsible to do a small bit of research, and then publicly criticize and condemn the whole. When a public leader or politician lashes out at a group like Girl Scouts, the consequences can be far reaching. In just a few unkind or under-informed words, long term damage can occur. How sad is it then, when the effects trickle down and a young person in need no longer has available resources to help mold their futures in positive ways. We are not a nation of “one size fits all” and this especially applies to ideological beliefs. We do not have to agree with every belief or principle of our neighbor. Our neighbor should not be labeled as someone evil just because they don’t vote the same way we do. There is enough real evil in the world without creating the perception of more. The desire to slander an individual or a group based on our own precepts does not make us good people. Politicians need to remember that while calling names and slinging ideological mud might temporarily rally supporters, it does not make them likable. Worse yet, they are acting and sounding like lunatics and giving credibility to hatemongering. So in the end, their politically driven tirade results in a negative effect on the youth who need the resources provided by Girl Scouts and similar organizations, as well as in the encouragement of the radical ideology of hate. Note: I considered adding links to articles detailing the nature of these attacks, but there were just too many of them. If you would like to read them, search “Girl Scouts Under Fire” and you will find many from which to choose. This entry was posted in Editorial, Only the Long, Political Notions, Teachables and tagged Girl Scouts, Hate, Politicians, Politics, Scouts. As a Cubmaster in the Boy Scouts, I fully get and understand your position. My daughter is a Daisy and she loves it. I get to be a parent when she is doing Girl Scouts. Yes, I am Cookie Trained. I have been with her when she sells. However, it’s more than just cookies. She often quotes the Girl Scout Oath & Law. Better than her Brother who is a first year Webelos (4th grade). Keep the faith. What you do as a Leader within Girl Scouts will affect those young ladies for years to come. Thank you for the comment. I agree that the leaders are so vital in scouting. As a mother of an Eagle Scout, I can attest to the value these programs can have on the lives of the youth.